Pianist Danko headlines final ..
Dr. Mark Jackson of the MTSU English Department will lead a special lecture on folk and blues musician Huddie “Lead Belly” Ledbetter on Tuesday, April 3. Huddie "Lead Belly" Ledbetter is shown with his accordion in this circa 1942 photo from the Alan Lomax Collection in the American Folklife Center of the Library of Congress. Ledbetter was a Louisiana native who gained national fame in the 1940s after decades of performing folk and blues music across the South. 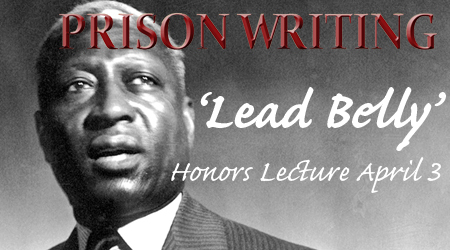 Imprisoned twice, “Lead Belly” used his jail time to learn and write more songs, even using music to gain a pardon from a Texas governor. “Lead Belly” was best known for his work on the 12-string guitar, although he played multiple instruments, including the accordion, mandolin and piano. He brought folk ballads like “Goodnight Irene,” “Midnight Special,” “The House of the Rising Sun” and “The Rock Island Line” into the mainstream and wrote his own gospel, blues, folk, political and topical songs.